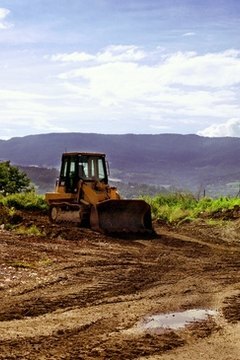 Some states permit split estates in which there is a separate owner of the mineral rights associated with a piece of property. Washington has set up safeguards to protect the surface land owner from damage caused by exploration of the mineral rights. The state has also established a procedure for extinguishing mineral rights in favor of the rights of the surface land owner. The right to mine, excavate or drill for minerals in Washington is controlled by mineral estate owners. The mineral estate may be owned by the surface owner or by another party such as the state or federal government, companies, or previous landowners who chose to retain the mineral rights upon selling the land. What Is 16th Section Land in Mississippi? Individuals or companies may lease mineral rights from the state on public lands. Washington law requires a lessee to compensate the state or a third party that may own the surface rights to the land for damage caused by accessing the minerals. Owners of surface rights may extinguish any mineral rights under their land if the mineral rights have not been exercised for at least 20 years. A mineral interest is considered to be used if minerals have been produced, attempts to withdraw minerals have been made, rents or royalties for the mineral rights have been paid, minerals have been extracted from a source connected to sources under the surface (for example, a coal vein has been mined on a neighboring parcel of land), taxes on been paid on the mineral rights, or a sale, lease or mortgage has been recorded with the county auditor's office. The surface land owner can have the mineral rights extinguished by providing 60 days' notice of intent to file a claim of abandonment and extinguishment of the mineral interest to the current owner of the mineral rights. The county treasurer should have the name and address of the mineral rights owner on file. If the current owner is not listed, the surface owner can publish the notice once a week for three consecutive weeks in the newspaper. After this has been completed, and the mineral interest owner has not responded within 60 days, the surface land owner may file appropriate paperwork and pay a fee with the county auditor's office to have the mineral rights extinguished. The county treasurer where the land and mineral rights is located should have a record of the owner of the mineral rights. Contact your local treasurer to find out how to request that information. Revised Code of Washington: Title 79 Public Lands Chapter 14 Mineral, coal, oil, and gas leases Sec. 340 Compensation for loss or damage to surface rights. MeredithBeach. "Land Owner Vs. Mineral Rights in Washington State." , https://legalbeagle.com/6386160-land-mineral-rights-washington-state.html. Accessed 19 April 2019.